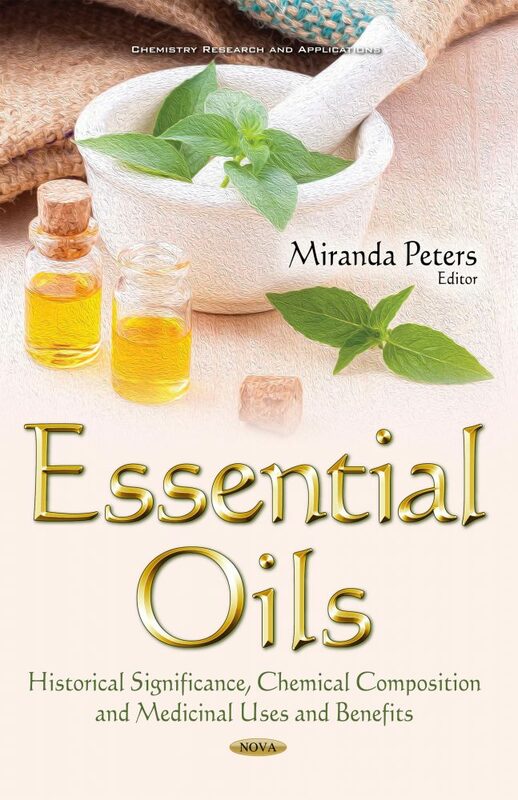 The use of essential oils by civilizations constitutes a common practice since antiquity. In earlier times, China, India and the Middle East used herbs and oils in cooking, cosmetics, medicine and in religious rituals. These substances come from a secondary metabolism of plants and are associated with several functions necessary for their survival, such as the defense against microorganisms, predators and attraction of pollinators. Essential oils are composed of a complex mixture of biologically active substances, lipophilic and volatile, and in most cases derivatives of terpene compounds and in a lower occurrence – phenylpropanoids. They have been long recognized for their medicinal uses: antibacterial, antifungal, antiviral, insecticidal and their antioxidant properties. The increased interest in alternative natural substances is driving the research community to find new uses and applications of these substances. This book provides research on the historical significance, chemical composition and medicinal uses and benefits of essential oils. Some of the topics discussed include extraction methods of essential oils; an overview of the most relevant essential oil changes regarding plant phenology and plant development; the antibacterial properties of some essential oils; essential oils applications in agriculture; and the use of essential oils as additives in broiler diets.